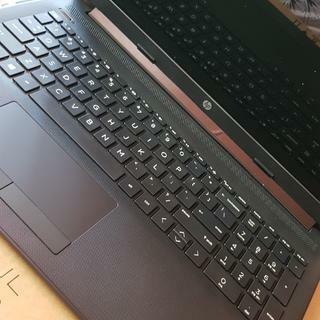 Designed for long-lasting performance, this stylishly designed HP 15" laptop has a long-lasting battery that keeps you connected, entertained, and productive all day. Speed through tasks, or sit back and socialize with the latest processors and a rich HD display. Do it all, all day. it was laggy at first while running the setups of things but now it runs & responds fine . 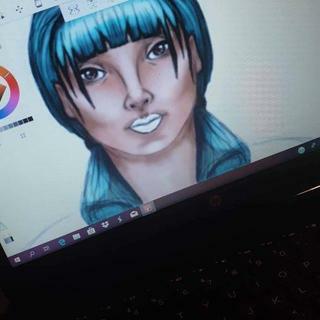 I use it for both digital art and office/study work and it's great. Really unimpressed the slowest computer I've ever dealt with and i remember dial up on a boxy pc. Since first opening it it has been ridiculously slow. Lagging constantly for everything from opening up word to switching tabs on the internet. Would not reccomend. Will try delete some of the pre installed unnecessary apps and see if that helps but most likely be doing a factory reset and returning to the store. The screen cracked while opening the lid. Bad quality. A good onset of might, speed is not always a virtue with now WiFi. 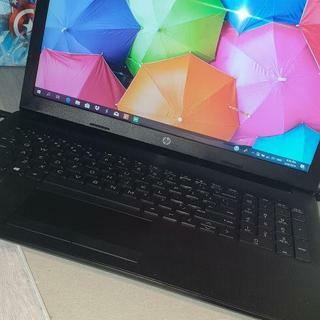 Not sure if I got a black Friday deal at all, I paid $629 for this hp on Friday only to find it is advertised for $503 on there website site and on the email I was sent. Great price, however after setting it up. I turned off to tend to my daughter. Went to turn it back on and it took like 10 minutes just to log in once I put in my pin. Why so slow?! On the first day.